An antenna of this type at minimum VSWR will have a feed point impedance of near zero reactance and resistance equal to 50 divided by the measured VSWR, so in this case 39Ω. A characteristic of this type of antenna is that near resonance (ie near zero reactance), reactance changes with frequency much more quickly than resistance, so much so that we can treat the resistance as approximately constant for the purposes of solving the matching network. A strategy for matching is to create an L network being a capacitive reactance in series with the base of the antenna, and a shunt inductance. The capacitive reactance can be obtained by ‘detuning’ (shortening) the whip if it has a suitable adjustment. 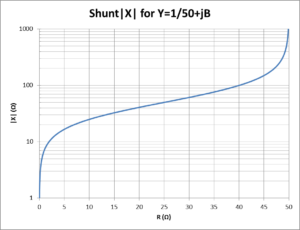 The chart above from one of my articles provides help in designing a suitable shunt inductor. 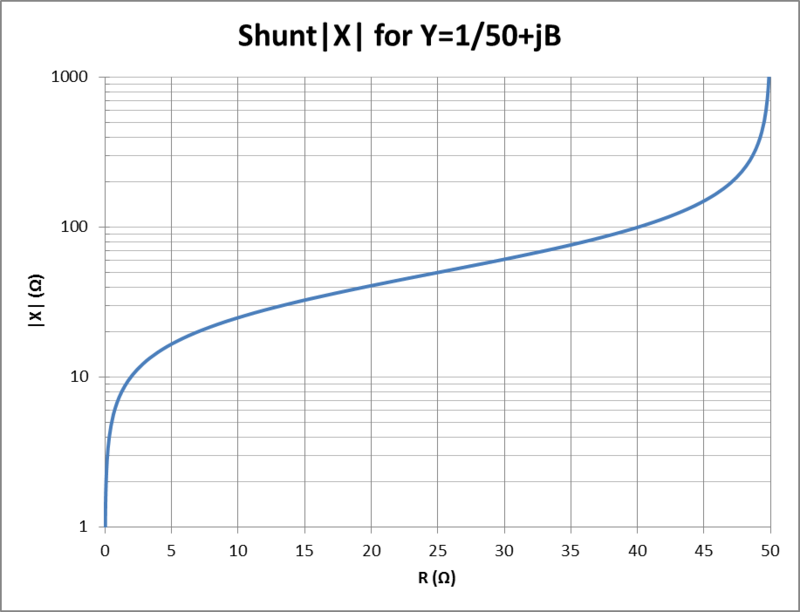 With series R of 39Ω, the required shunt reactance is around 95Ω. At 3.7MHz, that is an inductance of 2.2µH. The calculator at http://hamwaves.com/antennas/inductance.html can be used to explore coil parameters to get in the ball park of 2.2µH. Adjustment is done by connecting the 2.2µH coil and adjusting the whip tip shorter until minimum VSWR is found. Iteratively changing the inductor a little and re-trimming the whip should allow finding a perfect match (ie VSWR=1). So is there a way that I can set up the coil and antenna using only an swr meter? I might mention that K0BG recommends 0.5-1.5µH, the OP’s coil should have been almost 1.5µH but clearly inadequate in this case. You will see from the graph above that higher values of X are needed as the R component approaches 50Ω.